So it's June. And that can only mean one thing. 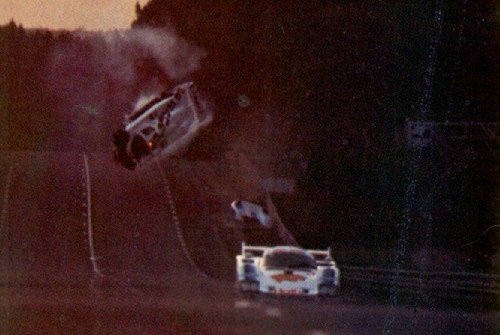 It's Le Mans month. The race takes part 22nd-23rd of June, with test day only a few days away. It starts on the 9th. This time last year, Toyota were the underdogs coming in to Le Mans, having not even raced. But they surprised even Audi by their pace in the race, in which they were genuinely competitive and fought for the lead for several hours before things went south. They followed that performance up with a strong end to the WEC, in which they seemed to be more than a match for Audi. But so far, things have been tougher for them this year, with Audi winning pretty comfortably at Silverstone and Spa. Toyota led for a while with their sole new car last time out in Spa, but it was forced out with overheating rear brakes after the hybrid system failed. Balance of Performance is a contentious issue, but the ACO has made some changes to favour Toyota and Rebellion ahead of the race, which you can read here. I guess we'll only really know what effect the changes have had by qualifying, with neither team likely to show their full hand on test day. One of the headlines of the GTE class this year is the return of SRT as a manufacturer with the new Viper. They will field two cars. I'm unashamedly a fan of the Viper and given the progress they've made this year it will be very interesting to see how they get on against Corvette and the others on their return to Le Mans. The GTE class is as strong as ever, with Porsche also having a new car. Whilst the driver line-up is extremely strong, the German marque has not yet shown impressive speed in the opening two rounds of the WEC championship. 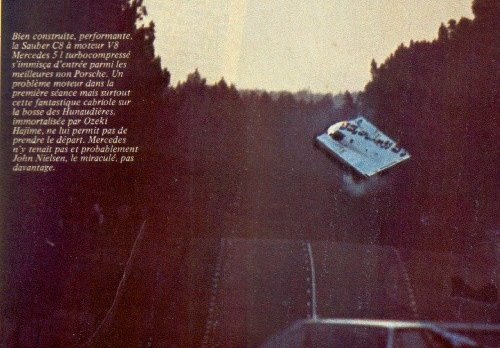 But you can never write Porsche out of the equation at Le Mans. Clever money would say the battle for Pro and Am honours will be contested between a fleet of Aston Martin Racing Cars, and the numerous F458s AF Corse are running. Aston won at Silverstone in dominant fashion, before AF hit back at Spa. As a side note, two former Formula One drivers will make their Le Mans debut in the GTE class. Bruno Senna will drive the #99 car, with Kamui Kobayashi in the #71. It wouldn't be Le Mans without some strange liveries. There continues to be much speculation as to what effect USCR will have on Le Mans going forward, with continued talk that Daytona Prototypes will be racing in the 24 hours before too long. It is widely accepted by all that American teams are important to Le Mans, and interestingly, Jim France will wave the tri-colour to start this year's race. The race sees alarmingly few LMP1 cars entered (just eight) - but the ACO is confident that the 2014 regulations will change that for the future. Of course, Porsche will enter two or three cars next year, whilst it is widely expected that Audi and Toyota will continue. Meanwhile, Perrinn has released an image of what their 2014 car could look like. They are the guys behind the failure that was the Pescarolo 03, but say the car is "90% ready" and just needs backing to make it a reality. Dome also confirmed it is building a car to 2014 regulations, and released this image. There also appears to be more news to come over the next few days. John Dagys reports that "news of an additional LMP1 manufacturer is expected to come next weekend at the Le Mans Test Day." DSC also reports of a "mouthwatering proposition if true" with a deal that is in place for a very high profile team to run a pair of Wirth cars with HPD power. It is unclear whether the two are linked. There is also increasing speculation as to what Rebellion will do long term. An announcement due for the Spa weekend was delayed, but we should hear of their 2014 plans soon. Add in the Lotus LMP2 which may well be upgraded to LMP1 spec, and the grid for the top class is looking stronger going forward. The breaking news from this morning is that GreenGT has been withdrawn. After hearing little of the project since about this time last year, and with the car having completed little running, it is perhaps no surprise. It is unclear whether the ACO will promote one of the reserves, or leave the entry at 55 cars. So what about the future of Garage 56 then? Well, it has already been confirmed by Darren Cox that following the Nissan Deltawing, the company will return to Garage 56 in 2014 with an electric powered car, stating is as preparation for an eventual return to LMP1. Additionally, Racecar Engineering also reports that Peugeot may well be the manufacturer to enter under Garage 56 rules in 2015. You won't be talking to yourself. You'll just be talking to shadows (or The Shadow, specifically). (If I had TV coverage, and if the Viper weren't illegal, I'd chime in a bit more. I hate to be negative, so I won't be). 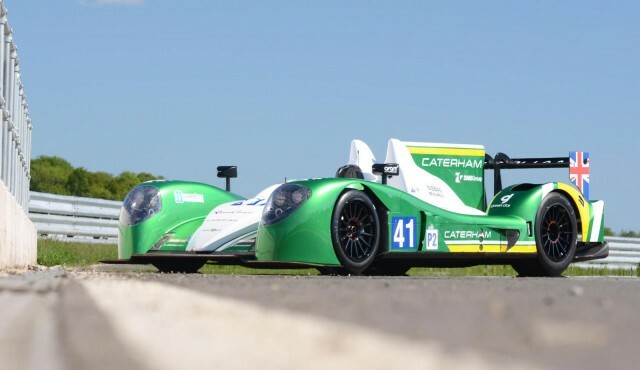 Caterham will race at Le Mans this year. The deal is because Caterham F1's reserve/test driver Alexander Rossi will be part of the driver line-up. Tom Kimber-Smith and Eric Lux are the two other drivers entered. Alpine and Caterham recently signed a contract which will see them jointly produce a new car which may well race in GTE in a few years. 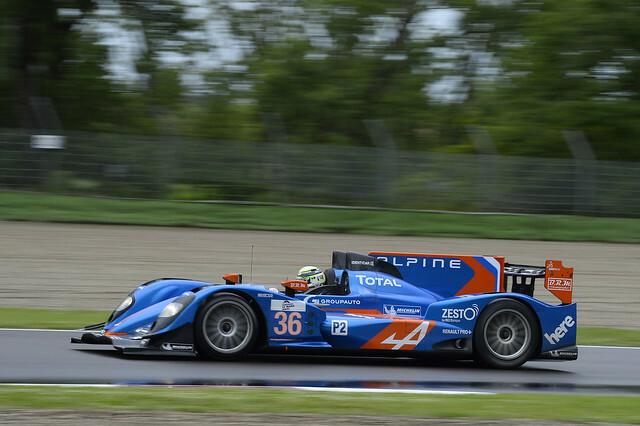 As for this year, Pierre Ragues/Nelson Panciatici/Tristan Gommedy will drive the Alpine car. The LMP2 field is spectacular though. 22 cars, many of which will be contending for victory. Looking forward to it. LMP2 sometimes has the reputation of being a "last man standing" kinda contest, but it should be a lot better of the basis of that entry. Sorry I have been missing for the past few days. Been over the missus' side where there was a festival involving a lot of pork and booze. Disappointed that Garage 56 will be empty this year. Likely to be empty anyways. The Viper's a cool car, though I have to confess that I have supported the Corvettes in the past when it was them vs the Ferraris and Porsches. Will be looking forward to witness what SRT can bring to the table. First year in, I hope you manage your expectations James. Finishing the race would be sweet enough. Any news on the LMP2 front? Eric Lux ? Him of the Stabby reputation ? Sadly not, no, otherwise that would be pretty hilarious, particularly if Sutil ever raced at Le Mans too. On a vaguely, sort of related note, Adrian Newey doesn't look like he'll be entering Le Mans again any time soon (he entered in 2007 in a F430, the team was classified in 22nd) after this rather embarrassing error in a Lamborghini Super Trofeo race at the weekend. 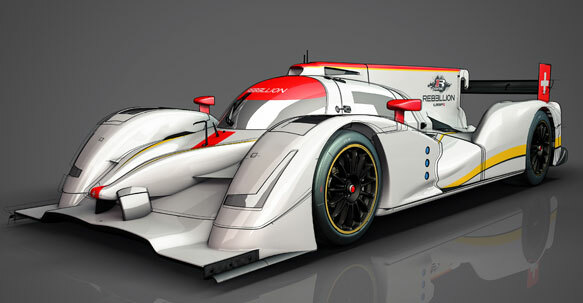 Oreca will build Rebellion's 2014 car, the R-One. I'm really excited by this, not least because I am a big fan of Rebellion. In recent times, they have closed up on Audi and Toyota, and have been by far and away the best P1 privateer in both Europe and America, but admittedly, they haven't had much competition in that area. Remains to be seen whether they'll be able to contender for overall victories next year instead of unofficial privateer honours as is the plan, because Audi, Toyota and Porsche all have a lot more resources/cash. But it'll be great if they can. WEC is going to be superb next year! Rainy conditions, so we might not learn an awful lot by the end of the day. Even if it was dry, I think we'd see a lot of sandbagging going on anyway. Not an awful lot can be determined from the times given the conditions, so there is no point analysing things too much. But it is certainly interesting that the Toyotas were slower through a couple of the speed traps than they were this time last year. I find it hard to believe that they could have taken a step backwards, so sandbagging is probably the best way to summarise the majority of what was going on. Also, as for some more LMP1 news, DSC confidently predicts that there will be two HPD powered cars on the grid next year with a link up between Wirth research and Pickett/Strakka/whoever likely. Of those, I'd say the least likely would have to be Perrinn. As for the Lotus thing...well, as the natural cynic I am, I'll believe it when it happens. But regardless, it is extremely likely we'll see Audi and Toyota continue, Porsche we know will be there, Rebellion will be there, Dome will probably be there, and then if DSC is correct (as they often are) that is an extra two cars there as well. Looking far healthier than this year. Great to see. 2014 suddenly starts feeling a lot closer today. First pictures of the new Porsche - albeit in camouflage paint. Formidable. Looking forward to what Porsche can bring to the party. For 2013, Audi look very strong. I think it may come down to race strategy between them and Toyota (just like 2011 with Peugeot). In that case, the race would be a cracking one! The front looks slightly different from that angle. I like it though. It looks mean, and fast. Interesting that we haven't seen the rear of the car yet. I doubt we will for some time, so it certainly gives us plenty of time to speculate as to what they might be doing. No word yet on the name or the engine of the car, by the way. Nissan will unveil their 2014 Garage 56 car on the 21st June. Andy Blackmore has released his brilliant spotter guide. All 56 cars included. As usual, www.radiolemans.com will have coverage running through all next week, including scrutineering, practice, qualifying, and of course, the race. http://www.lemans-tv.com/ will also have live timing, plus streaming from on-board the cars. http://www.audi-liveracing.com/desktop/index.jsp will also have coverage from their three cars as well. So there you have it. No excuses to miss any of the action. Well, as far as I know I should have 18+ hours of Eurosport coverage during the race so I have very little to complain (except its not in HD and the general cost of the satellite subscription) so I should be well covered, but thanks for the links. It will be useful for the missing 6 hours of the race. Even if 2014 may be quite the spectacle, I am no less enthusiastic for this year's race. They suggest the possibility of the announcement of a new manufacture in LMP, specifically BMW. It could be as an outright entrant in LMP1, or simply as an engine supplier in LMP2. Would be brilliant either way as true, but I've followed motorsport for too long to know not to get my hopes up. I think the fact that their also Munich based competitor are racing in LMP1 would encourage them to go into that category. I doubt they will take too well being lapped by the Audis. Couple that with pithy TV coverage for LMP2s in general (due to the sheer number of entrants).But that's just my opinion anyway. I remember them winning outright in 1999 and the significance of that win motivated them on for their entry into F1 in 2000 (of course, their F1 engine building plan started several years before that win). Remember the famous flipping Mercedes? Well that incident had happened to Merc at the same place of the track, several years prior. It's great to hear all of these privateers designing cars. Just how many will come to fruition next year remains to be seen, but it is definitely a positive step. The talk of the demise of the LMP1 privateer seems to have been greatly exaggerated. Got to the bottom of what advantage privateers will have over manufacturers in terms of BoP next year. The rulebook affords non-hybrid privateer LMP1s a larger fuel allocation for each lap than the hybrid cars, and an additional 20kg weight break. You'd expect the manufacturers to be the ones still winning races, because they'll probably have better pace over a race distance, and of course, they have the money/resources to out develop the privateers. But over one lap pace, they should be much closer, with privateers at least being contenders for regular podiums. Also, scrutineering has started. It began yesterday, and continues today. The first on track action commences on Wednesday. Lots to look forward to this week, not least of which the track action. We're also due to find out Nissan's plans for Garage 56 and a future return to LMP1, possibly definite confirmation of a Wirth/HPD car, as well as an announcement from the ACO's Pierre Fillon on something. Maybe something BMW related? We'll have to wait and see. Le Mans is nearly here, guys. Possible problem for the Lotus LMP2s already. Both cars seized from the pits, it seems like someone hasn't paid the bills...but would you expect anything less from Colin Kolles? Full statement from the team in the morning, apparently. The Lotus situation is still on-going. The cars are still at the circuit, but suspension and other parts have been taken. Radio Le Mans reports the #31 has been built up around the spares the team had, but has no steering wheel, but the #32 is less ready. Track action just getting under way with a practice session running from 16:00 to 20:00, before the first qualifying session from 22:00 to midnight. It has been raining very heavily at the circuit again, and the forecast for the race this weekend looks decidedly dodgy.